We think Formlabs is a great example of the importance of the 3D printing industry to good jobs and high-quality manufacturing here in the United States. Our development team includes engineers, chemists, designers, and programmers, all working hand-in-hand with one another out of repurposed industrial space in Cambridge, Massachusetts. 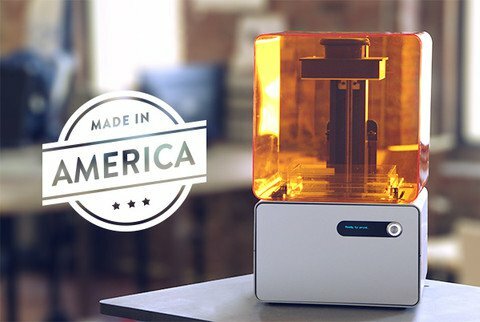 And Formlabs relies on the skilled contributions of our U.S.-based manufacturing team to build and ship reliable products efficiently. But building a great 3D printer is just the beginning. Powerful, affordable, and user-friendly 3D printing can enable millions of creative individuals to design and develop the products of tomorrow, from electronics to apparel. That’s why Formlabs is committed to bringing a new standard of high-quality, precision 3D printing to the world at an affordable price.